I’ve always been a decent speller and utterly dominated our weekly class spelling bees in fifth grade. The reward for winning was five lollipops, which meant I made friends very easily back then. Hey, if you can can’t win friends with personality, just bribe them with candy. But the kids who compete in the annual Scripps Howard National Spelling Bee are incredible. I’m not even sure most of these are real words they have to spell — more like somebody spilled their Scrabble tiles on the floor … all of the tiles. Amazingly enough, last night’s winning word was a piece of cake for me. I’ve seen it over and over and over for the past seven years. It was “koinonia” — a word of Greek origin that means “Christian fellowship or communion, with God or, more commonly, with fellow Christians.” I know that word because Millard and Linda Fuller started the world’s affordable housing movement a few miles from here at Koinonia Farm, an intentional Christian community founded by theologian Clarence Jordan. 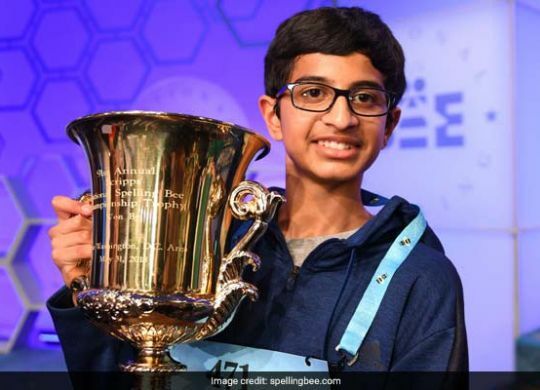 And Spelling Bee champ Karthik Nemmani of McKinney, Texas, had no problem spelling the word, either. Granted, I might not have had much luck in the other rounds of the bee, including trying to spell the word — “Bewusstseinslage” (again, clearly a Scrabble accident) — that knocked out the runner-up. As soon as the pronouncer gave me the word, I’d probably just say “gesundheit” and walk off the stage. Heard the Koinonia piece this morning great story.